Are you home for the Christmas break? Do you need something to do in the next few days? as you enjoy your days off! Have you read the Twilight series? before the next movie comes out? catching up with your FaceBook Friends? from your friends at the Libraries! 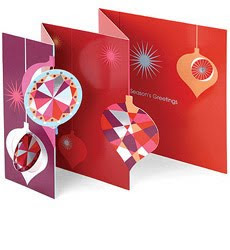 There's still time to make holiday cards. Visit the Pearl Public Library's young adult area and help yourself to glitter, markers, stickers, glue and pens to make a card for someone special. OR you could get a jumpstart on Valentine's Day like some of the other teens I saw the other night. :) December 18 is the last day to make them. run for class president or any student body office? What type of campaign did you use? Was it a clean or underhandedly evil campaign? 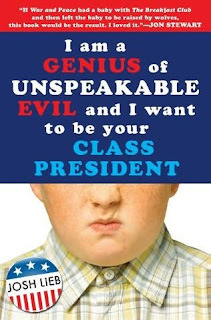 In Josh Lieb's I Am a Genius of Unspeakable Evil and I Want to Be Your Class President , Oliver Watson decides to run for 7th grade class president. Most people in his class perceive Oliver as a lazy and dumb person, which is not the case. Actually, Oliver actually is a wealthy, driven, and intelligent person; he owns an empire!!! Of course, no one, especially his parents, know how Oliver operates. This books takes us on Oliver's campaign journey---from eliminating his popular opponents to tricking "the most pathetic boy in school" to running against him. If you're ever considering politics, this book just might be for you. Does Oliver win or does he lose? You'll need to check this book out for its somewhat surprise ending. If you are a computer geek, an avid role-playing game freak or wonder how your life might change if a terrorist attack occurred in your city, then Little Brother by Cory Doctorow is just the book for you. Meet Marcus, aka 'w1n5t0n.' He is 'in the know' when it comes to technology, and he uses it to his advantage in school. Marcus and his friends bypass the school's security systems to 'skip out' and run down a clue in Harajuku Fun Madness, an ARG (Alternate Reality Game). While they are moving about in downtown San Francisco, terrorists blow up the Bay Bridge. In the ensuing chaos, Marcus and his friends are detained by Homeland Security, taken to a secret location and interrogated for several days. When Marcus is released, he discovers his life and the lives of everyone in San Francisco have changed dramatically. They are living in a police state where everyone is treated as a potential terrorist. Marcus, teenage hacker extraordinaire, decides to fight back. And fight back he does, with interesting results. The book contains some language, and there is a bit of sexual content. Overall, it is a riveting story of how something intended to help and protect us can evolve into the enemy if left unchecked. The technology is mind-blowing and it was tempting to believe the technology described was fictional; however, a bibliography at the end of the book made me realize that yesterday's science fiction is today's reality. Very, very seldom do I read a book that I can find nothing good to say about it. Usually I'm happy I spent the time to read it. On occasion, however, I run across a book that screams WHY WOULD ANYONE WANT TO READ THIS??? Such is the case with Busted by Phil Bildner. It was not entertaining; it was not exciting; I learned no valuable moral lesson. So I present to you for Thanksgiving a TURKEY of a book. Everyone is capable of being 'busted' in high school. From the honor student to the star athlete. 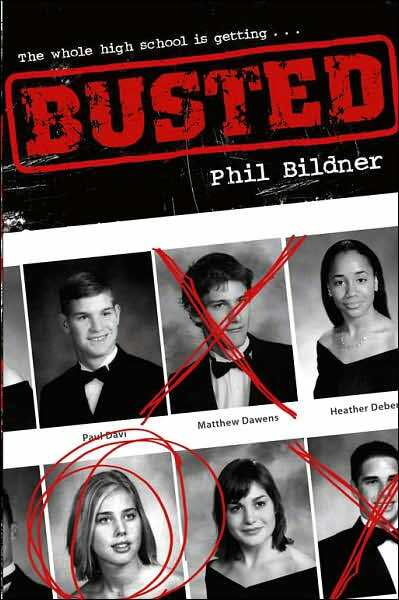 Busted contains four stories that occur during one year at Coldwater Creek High School. All four stories relate a tale of being caught doing wrong. CHALLENGE: I challenge you to read the book and then post what I missed. I must have missed something...there are so many books submitted for publication, I'm sure there must be some reason this one was chosen from the many for publication. Imagine losing a friend to suicide...wouldn't you wonder why? Now imagine that friend records the events that led to their decision to take their own life and sends it to out to everyone who played a part...would you REALLY want to know why? Th1rteen R3asons Why is about exactly that. An engrossing read...it'll really make you think about how sometimes small and seemingly meaningless things can add up. Maybe you'll see someone you know in Hannah. A teenage friend recommended the book -- Thanks! It was time well spent. Just for TeeNs in the coming weeks! Nov. 3 & 17, 6:00 p.m., Flowood Library - The Teen Anime Club meets! For ages 13 & up; meet to socialize, draw, read Manga and watch Anime films! Nov. 5, 6:00 p.m., Richland Library - Fun and games @ your library...SCRABBLE NIGHT! Nov. 12, 6:30 p.m., Morton Library - Guitar Hero Game Night! Enjoy performing your favorite song on Wii Guitar Hero. Nov. 16, 5:30 pm., Florence Library - Twilight Party! Dress as your favorite Twilight Saga character and join us @ your library for food, fun, and games! Nov. 24, 4:00 p.m., Magee Library - FUN & Games @ your library! Teens Top 10 Titles for 2009! Voted on by teens around the web and posted by YALSA (Young Adult Library Services Association www.ala.org/yalsa) , these titles were named the TOP TEN for 2009...and you can find them @ your library! Ask at any CMRLS Library for these titles soon, you may have to be put on a request list! After you read one or any, write a review (sign it or not) and we will publish it here! You may use a form to send the review, here; or email it to teen@cmrls.lib.ms.us. High School Musical III Wii, Come play with us @ the Richland Library, Thursday October 22, 6:00-7:00 pm. Teen READ Week 2009 is just around the corner...October 18-24! Did you participate in the Top Ten Nominations for 2009? The vote ended in September, but the winners will be named during Teen READ Week at www.ala.org/teenstopten . Check back here or the Teens' Top Teen web site to see if one of your favorites are in the Top Ten! Have you had a favorite book this year? Leave a comment here, tell us what it was and why you enjoyed it! Brandon Teens do you need to work on your service hours? You can get hours by helping us during our summer events. You can choose to help Tues. @ 2 p.m. with elementary aged kids or Thurs. @ 5 p.m. to set up and host our Family nights. AND we also have creative workshops for you. How do you express yourself....art, music, taking pictures? We will cover some of all of it. Come in and check out what we have lined up on Thurs. @ 4 p.m.
Its the middle of winter; why would you want to hear about summer, now? Believe it or not...your library staff is already planning a GREAT summer of FUN! This year's theme is BE CREATIVE! You may even want to volunteer @ your library this summer. Just ask your library staff about volunteer opportunities for those of you that are 12 years old or older. You will have FUN and help the library at the same time! Think Summer FUN and BE CREATIVE! Are you a Wii Guitar Hero? The Pearl Library invites you to try out its Wii. The Tournament is designated for grades 5-8. We will be playing World Tour. Join us for pizza and dazzle us with your guitar skills. Winner wins a $25 Wal-Mart Gift Card. The program is Monday, January 12, at 6:00. Call library to pre-register. The library’s phone number is 601-932-2562. We hope to see you! What is your faviorte book? At Brandon we are collecting and taking votes for the most popular book in 2008. Everyone has a best of and so can we. Comment to this Blog or stop by and drop off your vote on the YA shelf.